I've taught classes for local writers groups on social media, including blogging, and consult with local writers interested in building up an online presence. Blogging always seems to be the thing most writers don't even know where to start with - and choosing a software is where to start. I like to think of Tumblr as a more informal type of blog and I explain it as something halfway between blogging and Twitter. I have one of mine where I mainly post pictures, quotes and links that are inspirational to me - but may not be writing/book related. It seems like most writers I know use it in a similar way. It doesn't easily allow for comments or deeper interaction than liking or reblogging a post and is really not suited well to longer text-only posts. Tumblr is a little different from all the other blogging platforms and I think it's probably not the best solution for a traditional author blog. But it does have its place. I used to have a LiveJournal way back in the college days (but I still read a few blogs on LJ) so forgive me if my experience is a little out of date. LJ seems to have all the utility most bloggers would need, but it's not even on my list of contenders and I never recommend it to people I consult with about building a blog. Blogs on LJ always seem to be less visually-pleasing than those on other platforms, kinda rough around the edges with less options for customization. They also make subscribing to comments difficult and every time I'm on an LJ page there's some kind of pop-up ad that I have to view for so many seconds before I can do anything else. Some features are available only to paid members. Also the "community" aspect of it sometimes reminds me of high school - with cliques and feuds and all kinds of drama. WordPress is the most customizable of the most popular blog platforms and you can do more with it than any of the others - if you know how. And that's the major disadvantage: it's more difficult to learn and less intuitive if you're not very technologically inclined. This is where my personal blog is currently at and I'm thinking about switching. I just feel like the interface is clunky and less intuitive than Blogger and I'm not a person who needs the features. I know a lot of people swear by WordPress, but it's getting to where I dread writing posts and making changes to my site. I also hate how you have to confirm comment subscriptions by getting a link emailed to you and clicking on it. That's obnoxious. Blogger is probably the platform I see most often used for writer's blogs (We use it - obviously - for YAtopia and for Sift Book Reviews). It's a balance of features and usability, with a pretty intuitive interface. It's not quite as customizable as WordPress though. This is the platform I'm considering changing my blog to. Blogger is also run by Google, so it integrates well if you already use other Google services. A lot of people say you can't customize your URL, but that's untrue - it's actually very easy to use your own URL. My major gripe with Blogger is the inability to nest comments where a reply appears underneath the original comment. A lot of people don't like the fact that since Google hosts your blog, they can delete it if they think you are spammy or violating their terms. Of course there are other less popular ones I didn't mention like TypePad, Movable Type, Expression Engine, Drupal, and Mambo. So what do y'all think? Do you have a blog and, if you do, which platform do you use? How do you like it? Also, I wanted to mention that my sister and I are auditioning to join the YA Rebels, so I'd really appreciate if you watched our audition video below and like/comment (if you do indeed like it)! We introduce ourselves and talk about the five most obvious query mistakes authors make. Also, check out our competition! I recently got a Tumblr to post my photography and music on, and so far I like it. It's not as cool as I thought it would be and it's not as customizable as I thought, but it's quick and easy. I've also been playing around with Wordpress and it's really confusing and also not as customizable as I thought--unless I want to pay, which I don't lol. But I do think it'll be worth it in the end. Blogger, however, is the easiest to use and does what most of us need it to. Though, I'm with those who don't like the fact that Google can shut you down. Oh, good luck on being a YA Rebel. I like your video. I got lucky and picked Blogger on my first try, having no idea how to blog at all or which platform was the best. I brushed up on my HTML (which isn't at all necessary with Blogger, but it helps if you want to get a little fancy) and was good to go. Love love love it! I've never looked back. Yesterday I experienced one of those comment subscription thingies (must've been Wordpress) where you had to confirm a link in an email, and I was like what the crap is this nonsense? No thank you! Tumblr is fun and I need to use it more. I'm entirely too lazy. I prefer blogger to all of these. I did create a Wordpress though so I could start learning the HTML so I can offer that in my blog designing services. But yea, blogger wins! I tried Live Journal, and haaaaaated it. I've used Blogger for years but when it came time to set up my author blog, I decided to try out Word Press. I use WordPress.COM, which is different from WordPress.ORG, and I love it. On the free level, it's not quite as customizable as Blogger, but it's a much more powerful platform, IMO. Plus, I have the option to convert to WordPress.ORG if I ever get enough traffic to need independent hosting. You're so right about not knowing where to start. I just got a blogger because my cousin (who introduced me to blogging) had one. I've looked at wordpress, and it's a bit too complicated for me, but I know some people that prefer it. I've never really understood the point of Tumblr, so I don't have one, but that doesn't mean I won't in the future. YOu guys are super cute!!! Loved the Vlog. Thanks everyone. Yeah, it looks like I'll be making the switch back to Blogger. I just don't see any reason to stay on WordPress when I hate using it so much. I'm going to be posting on my website (www.sarahnicolas.com) in a little bit, asking people to help me pick out my new template, so keep an eye out for that! And thanks for the nice comments about the vlog! I was nervous because that was my first vlog. I loved the video! It was so funny, amusing, and informative! They certainly didn't lose my attention. :) And I use Blogger for my blog, I picked it on the first try because I've seen lots of people use it and I'd heard good things about it. 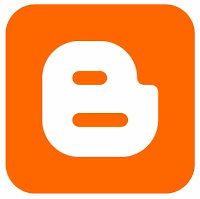 I love Blogger! Although, I'm thinking of looking into a Tumblr one too. Although I'm not sure how it works exactly or what it'd be about. I've done drupal, which I loved once i got it set up. I keep going back to blogger, because if you put in some time, you really can do some cool things with it. I also love MARSEDIT which helps me organize posts, and pictures and all that. SO SO SO nice. As Kris Atkins noted above, wordpress.org and wordpress.com are actually two different things. Wordpress.com is more analogous to blogger, and wordpress.org is a product you install on a website you own. I went in the other direction, switching from Blogger to a Wordpress.org blog on my website. The reason I did this is because I foresee the time when I'm going to want a more comprehensive website, and not just a blog, and Wordpress is a good content management system for static pages as well as for a blog. But you're right, it absolutely is more work. I will say that the bulk of the extra work is in the initial setup--and any time you decide you want to customize something. I'm not sure why you've been so unhappy since you passed that point. Also, commenting and comment notification doesn't have to work that way. It doesn't on my blog. It's all about what plug-in you choose to use for subscribing to comments. I started off with blogger in Feb of this year and I'm glad I did. Also, there is a way to nest comments on your blogger blog via a widget called Intense Debate. I use it on my blog and I love it. Hey Joe! What plug-in do you use?